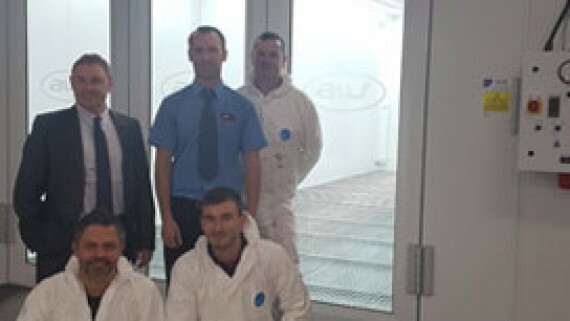 North East Scotland College (NESCOL), the largest provider of vocational education and training in the North East of Scotland, recently commissioned Junair Spraybooths to install a brand new training facility for their apprentices. The project was initially instigated to bring the college up to date with modern technologies and to ensure that students are trained in the best possible environment. 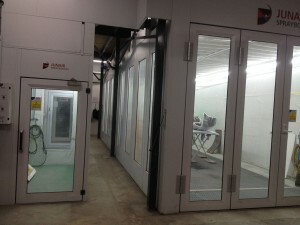 Aberdeen’s apprentices are now privy to a 9m long Junair 5 series spraybooth, complete with 4 leaf fully glazed doors. 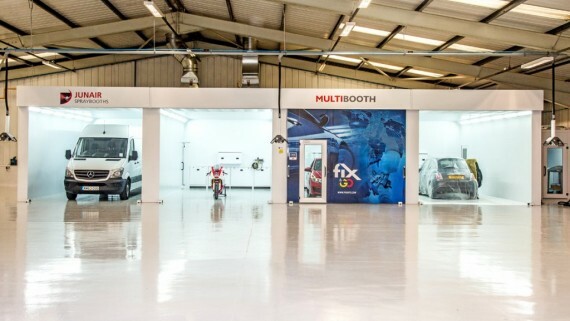 An EVAC gridded floor ensures optimum downdraught airflow within the spray booth, preventing contamination from overspray and speeding up the curing process. 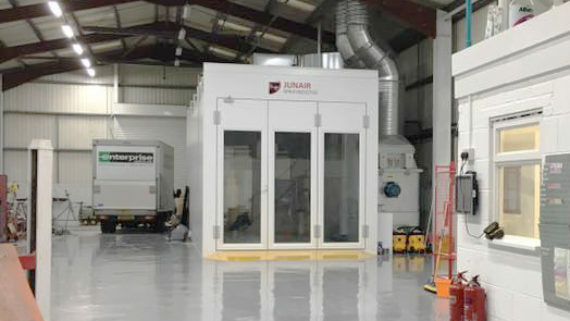 The spraybooth is controlled by a Junair isystem control panel, enabling students to select from a variety of preprogramed cycles. A fully glazed viewing corridor enables students to watch the process from start to finish, also ensuring that lecturers can keep a watchful eye over students working within the spraybooth. NESCOL’s 5 series includes several energy efficient features such as Fuel saver mode and variable speed drives. The integrated LED lights not only provide energy efficient lighting but also ensure a natural even light throughout the spraybooth improving vision for the best possible finish. Junair patented QADs provide an energy efficient drying process which, by means of auxiliary air movement, significantly decrease the drying time within the booth. 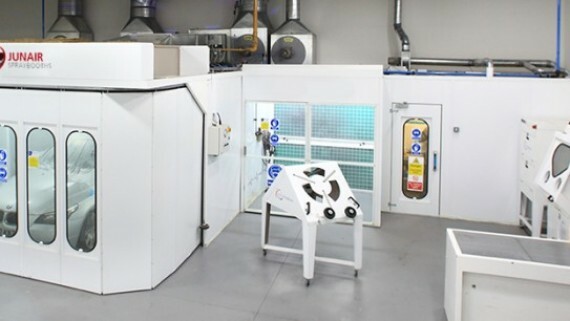 In addition to the high spec 5 series the apprentices also have use of 2 adjoining panel spraybooth ovens which share an air handling plant, each of which comes with viewing panels. A paint mixing room completes the training facility again with a viewing window to ensure maximum learning potential.